Two skulls from the 13th and 14th centuries have been unearthed in a cemetery in Soria, north-central Spain. 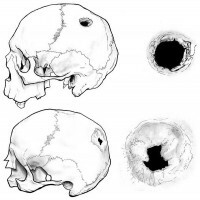 The skulls each have a hole in them from trepanation, the oldest surgical procedure known. 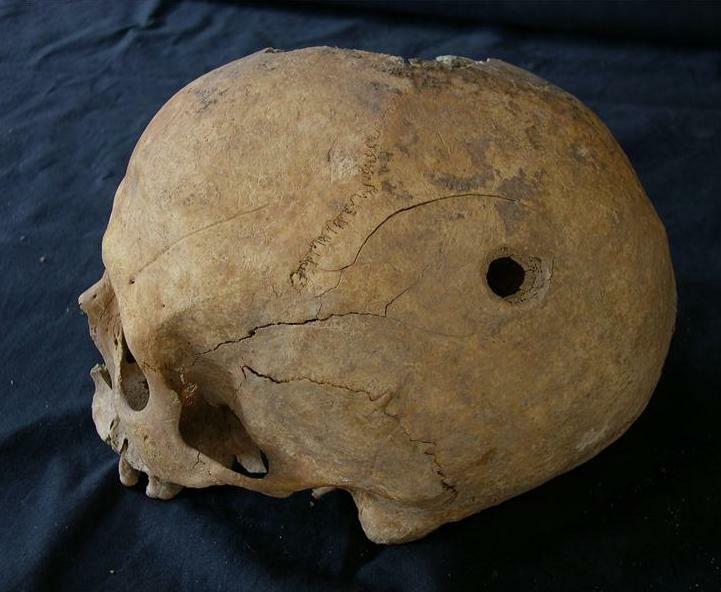 Trepanation involves the removal of a piece of skull by scraping or cutting with a sharp tool and has been practiced at least since the early Neolithic 10,000 years ago. It was common in prehistoric and ancient Europe, but there’s considerably less evidence for it in the Middle Ages, possibly due to a philosophical rejection of surgery in favor of “pure medicine” like leeches sucking the bad humours out of people along with their blood. In some parts of Europe, for example modern Hungary, the practice almost entirely disappears from the historical record after the onset of Christianity. Thus researchers from the Universities of Oviedo and Leon were surprised when they found two trepanned skulls in the medieval San Miguel hermitage cemetery. They were even more surprised when they found that one of the skulls belonged to a woman. Even when trepanation was widely performed, most of the patients were men. In the woman, a scraping technique was used while she was still alive. According to the researchers, she survived for a “relatively long” amount of time afterwards given that the wound scarring is advanced. 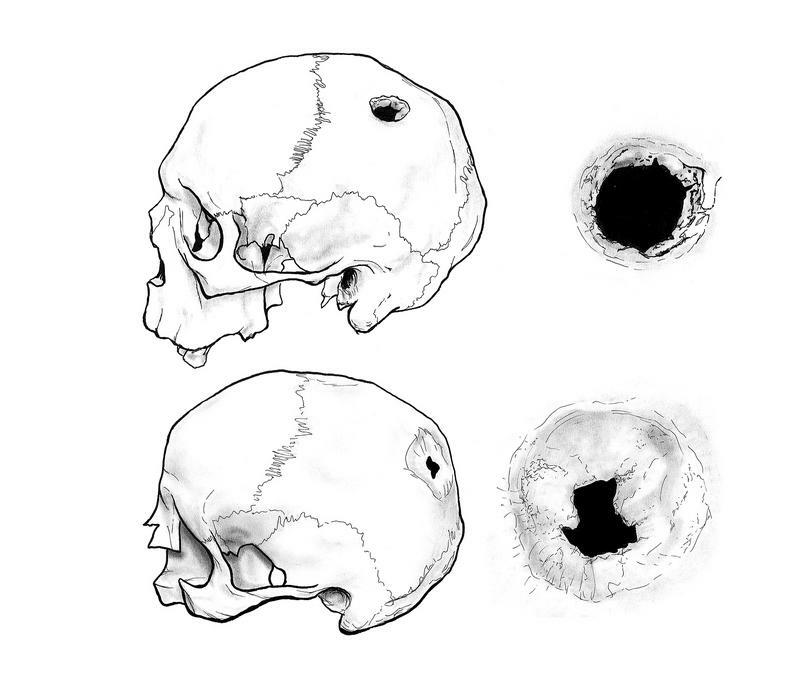 Trepanation was performed to repair skull fractures by removing the fragmented section, and has a solid record of effectiveness as emergency surgery on head wounds. (It is still used today, in fact, to clear bone pieces and relieve subdural hematoma.) It was perhaps less effective as a remedy for a variety of other conditions like seizure disorders and mental illness. This entry was posted on Saturday, May 12th, 2012 at 11:56 PM	and is filed under Medieval. You can follow any responses to this entry through the RSS 2.0 feed. You can skip to the end and leave a response. Pinging is currently not allowed. I wonder if we as a modern society have achieved gender equality in trepanning? At last we have discovered the earliest known leftist academics. The only surprising thing is Spain and not Sweden.